Regiment/Catrawd: 1st Battalion, Prince of Wales's (North Staffordshire Regiment). Service Rank and Number / Rheng gwasanaeth a rhif: Private No. 15689. Military Cemetery/Memorial / Fynwent milwrol: Bousbecq Communal Cemetery, Pas de Calais. Ref No Grave or Memorial / Rhif cyfeirnod bedd: 25 (Facing the War Memorial). Henry Felgate was born in Uttoxeter, Staffordshire on 27 April 1890. The 1911 Census shows that the family lived at 24 Carter Street, Uttoxeter, Staffordshire, England. The head of the family was Ellen Felgate aged 48. She had three children – Henry Felgate aged 20, a Postman. Nellie Felgate aged 18, who was employed as a Barmaid and Minnie Felgate, aged 14 years. 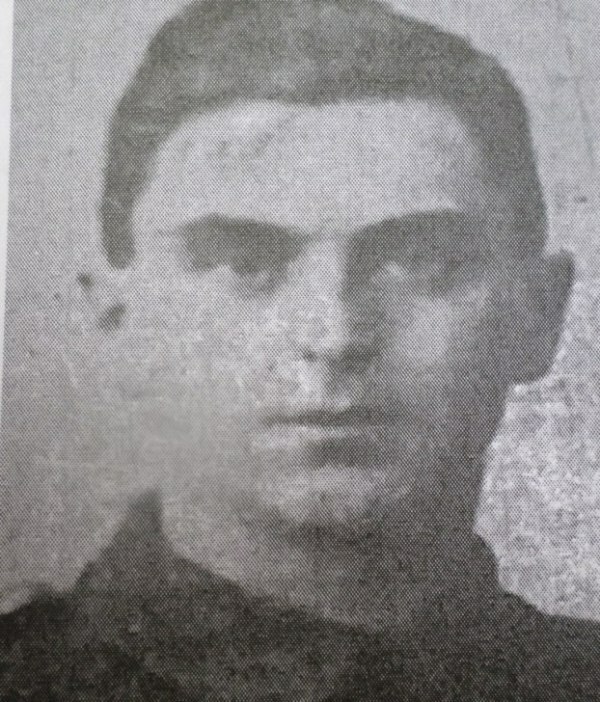 On 26 November 1914, Henry aged 24, enlisted with the North Staffordshire Regiment at the Recruitment Centre, Lichfield. He was at this time living at 66 Vale Road, Flint. Flintshire. His Attestation Certificate – British Army WW1 Service Record can be viewed on (www.ancestry.co.uk). On enlistment he was described as 5’6″ tall, Chest Measurement 35″ with an expansion of 2″. His physical development was described as good and according to the Recruitment Officer and Medical Officer he was fit for Military Service. On 22 October 1916, a payment of £3.3s.10d was made by the War Office to Mrs Ellen Felgate, being monies owed to her son Henry. On 12 September 1919, a further payment which is recorded as a War Gratuity of £6.0s.0d was made to her. Henry was entitled to three medals. The 1915 Star, British War Medal and Victory Medal. However, on 28 June 1924 Mrs Felgate, who was now living at 3 Church Street, Uttoxeter, Staffordshire felt it necessary to write to the War Office – Dear Sir, My son Private 15689 Henry Felgate, North Staffordshire Regiment was killed in action on 2 May 1916. I have not yet received his medals. May I please know why. The letter was signed Mrs Ellen Felgate (widow). On 29 July 1924 the three medals were forwarded to her. There is no Flintshire Roll of Honour Card for Henry Felgate at the County Archives Office, Hawarden. He is remembered on a Remembrance Plaque which is situated in the Royal Alexandra Hospital, Marine Drive, Rhyl, Flintshire and on The North Wales Heroes Memorial Arch, Deiniol Road, Bangor, North Wales.